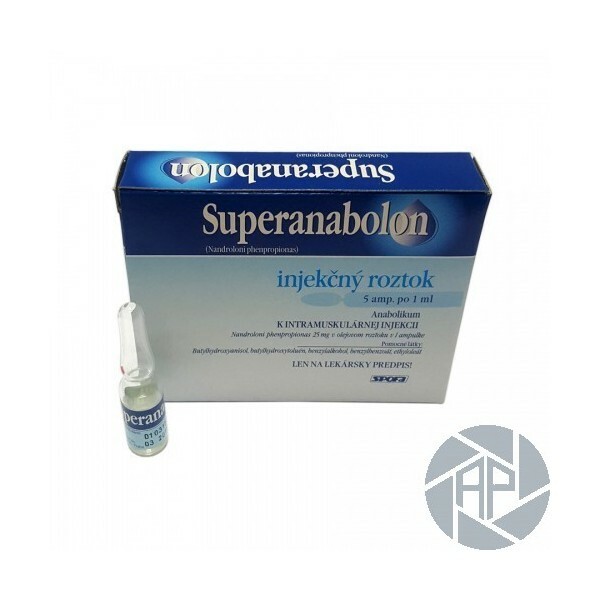 Superanabolon is a popular injectable anabolic-androgenic steroid. It is used in bodybuilding for its active substance, nandrolone phenylpropionate, which is able to provide growth of muscles of very high quality. In medicine, Superanabolon is used for treating breast cancer, osteoporosis, burns or infections. Superanabolon is used above all in the bulking cycles; nevertheless, some bodybuilders use it in contest preparation, as well. The product guarantees the growth of muscles of extremely high quality, which remain stable and do not disappear even after the end of the cycle. What is more, Superanabolon has quite fast mechanism of action in the body. It means that the athlete does not have to wait for the results for a long time. However, there is one condition, which has to be suited for the right effects of Superanabolon – the athlete has to take higher amount of proteins during the use of the product. It is recommended to stack Superanabolon with testosterone. This combination will maximize the effects and will also prevent some of the side effects. The maximal weekly dosage for men should not be higher than 300 mg. The dose should be taken in two or three parts. The safe amount for women is considerably lower. 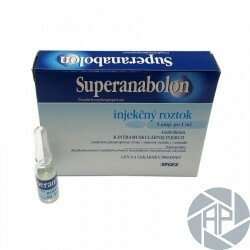 Although Suparanabolon does not usually have very unpleasant side effects, more sensible individuals may experience some troubles caused by the use of the product. There is a light risk of Gynecomastia. In any case, testosterone should be taken simultaneously to Superanabolon, because the product reduces the natural production of the male hormone.